Pine Wood is the mainstay of framing lumber and big part of interior and exterior pine siding and trim for building a home in Austin. Pine wood and lumber is one of the most common of the building materials used on Austin Texas homes because pine is a great renewable resource. Southern pine lumber, Douglas Fir, SPF (spruce, Pine, fir) and D-grade stain well and can be milled for any style of siding (interior or exterior). Pine wood is one of the most popular products used for decking, treated pine is used almost exclusively for the sub structure because it can have ground or concrete contact without rotting. Pine deck wood is easy to work with. Pine takes screws and nails without splitting and is easy to saw because it is not a hardwood lumber. One of the things about pine wood is that it is used often in engineered wood. Pine wood chips are used to make engineered lumber like LSL, PSL, and OSB sometimes referred to as composite lumber and composite timbers. What is pine wood? Pine is a renewable resource that comes in several grades. At Eastside Lumber & Decking we pride ourselves on being a lumber company that carries the best quality of pine we can find from our wood suppliers. We only carry #1 Yellow Pine. #1 Yellow Pine has very little wane and few knots which allow the board to maintain it’s straightness. Siding and decking are our specialties. We usually have on hand the main siding patterns and can match anything that you bring to us no matter how old or in how bad of shape it is in. 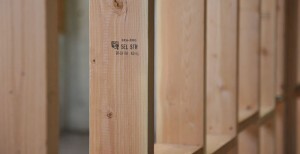 Eastside Lumber & Decking also supplies Doug Fir beams in various sizes and lengths. 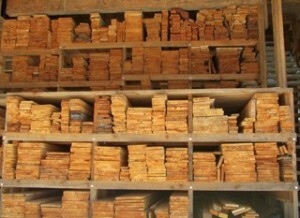 Treated pine lumber and treated pine posts come S4S (smooth 4 sides) from wood wholesale suppliers. Eastside Lumber & Decking also carries a variety of stain colors in Penofin Ultra Premium Red and Verde. Penofin Red is quality exterior stain that resists sun and rain damage. Penofin Verde (green – low VOCs) is an interior stain that has little or no smell. Penofin is an oil based stain that is easy to apply and leaves a beautiful even color and finish. We also carry Penofin Stripper, Cleaner and Brightener for older decks that need to either be cleaned up or stripped in order to apply a new coat of Penofin. The stain color Transparent Sierra will turn cedar red. Visit our website at www.eastsidelumberaustin.com and like us on Facebook. Eastside is the fun lumber yard in Austin! Not only do we carry many types of pine wood, we also carry cedar lumber, engineered lumber, redwood, and IPE & composite decking. 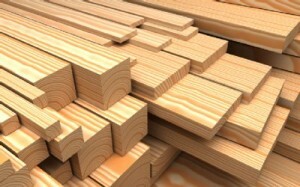 Come see us, because Eastside Lumber carries a complete stock of Pine Wood.